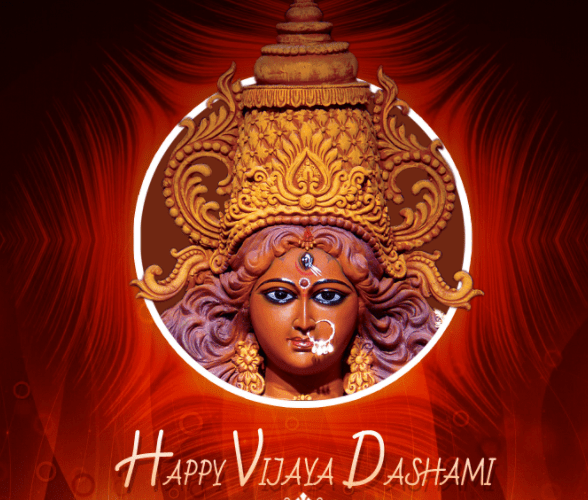 Vijaya Dashami is one of the mostly widely celebrated festivals in the Hindu calendar. It falls on the tenth day of the month of Ashwin and is preceded by the nine night festival of Navarathri, with which it shares its significance and story. 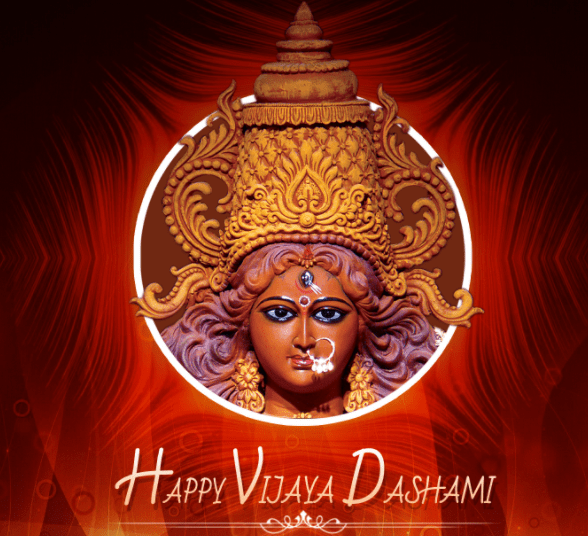 The words Vijaya and Dashami mean victory and tenth day in Sanskrit respectively. Therefore, it is on this tenth day that victory over darkness was achieved. This relates to the story of the slaying of half-man-half-buffalo demon Mahishasura, as described in the Devi Mahatmyam. Mahishasura was the King of the demons, and his strength and relentless campaign for power meant that he quickly defeated the Devas (demigods), gaining complete supremacy. The Adi Parashakti, the primal energy of this universe, was summoned to save the Devas, and through nine different forms She fought Mahishashura before defeating him on the tenth day by driving a trishul through his heart. The day is often also called Dussehra which refers to the narrative of Ravanas death at the hands of Lord Rama in the epic Ramayana. After capturing Sita, Ravana retreated back to his kingdom of Lanka. Lord Rama declared war on Ravana and on this day ended both the demon and the war. According to the Mahabharata, this is also the day that the Pandava brothers came out of exile and recollected their armour and weapons, taking up the war for Dharma. Having spent years in quiet solitude, they woke up to the destiny they were to later fulfill. Each of the narratives of Vijaya Dashami show the victory of good over evil, of light over dark and of knowledge over ignorance. It is a reflection of the ongoing war inside of us between virtue and vice. Despite being mighty and intelligent, Ravana and Mahishasura both embody the over ambitious ego. It is only by slaying them that peace and progress was achieved. In the same way, working in a humble way and trying to think of others and not ourselves makes us graceful and successful in all that we do. Vijaya Dashami is a reminder that these demons are not literal but are tendencies that we all house. Ravana’s ten heads symbolised lust, anger, attachment, greed, excessive pride, jealousy, selfishness, injustice, cruelty and the ego ten flaws we are all affected by. Vijaya Dashami is a reminder that they are not invincible, and that we are capable of overcoming these vices. So it is only by defeating our own inner demons that we can achieve lasting joy and tranquility. The victory of Lord Rama over Ravana is usually celebrated lavishly and with explosive festivity. Traditional plays enacting the scenes of the Ramayana take place at in even the smallest of villages and effigies of Ravana are burnt to the joyous chanting of Lord Ramas auspicious name. Processions, music and dance all add to the spirit of the celebration that marks not only the end of Ravana, but also of Lord Ramas exile. 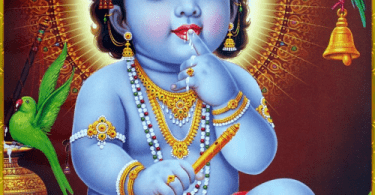 In certain parts of the south of India such as Kerala or Karnataka, this day is known as Vidyarambham meaning the beginning of formal education. Children begin their schooling and many others embarking on new adventures take the blessings of the Devi first. This induction on this auspicious day is believed to bring success in the chosen endeavors. In Bengal, the occasion marks the end of the famous Durga Puja. The concluding days of Navarathri are especially important for a Bengali and Vijaya Dashami is the consummation of the worship. Sanskrit hymns, prasad, clothes and other spiritual oblations are offered to the Devi, before the murti is dispersed into the waters of the river.